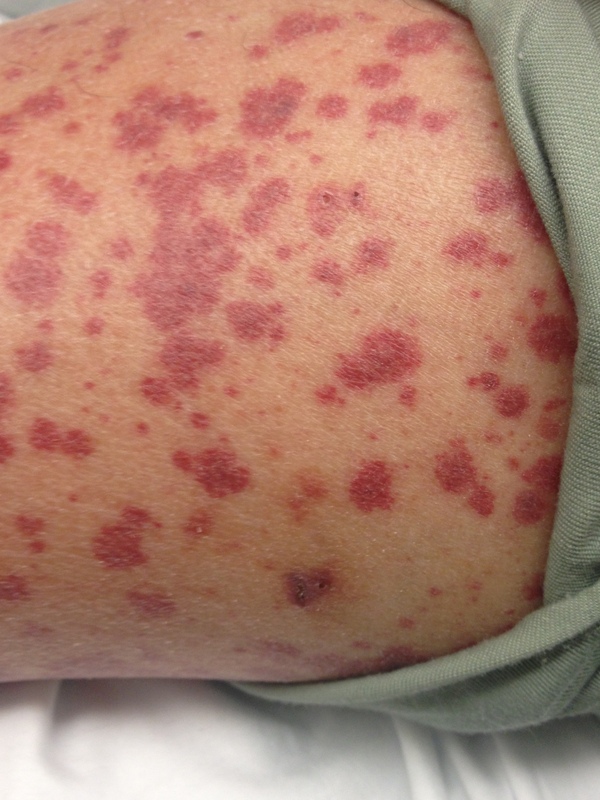 This image shows palpable purpura associated with cryoglobulinemic vasculitis. This patient has long standing Hepatitis C infection which has likely brought about a mixed cryoglobulinemic vasculitic picture. The presence of Hepatitis C infection brings about immune complexes and complement activation which in turn cause damage in the recticuloendothelial tissue consequently causing the small vessel vasculitis. Click here to read more about cryoglobulinemia on Medscape.